Is there really a best time to get your carpets cleaned? Some would say yes, others would say whenever they need it. There is no one correct answer, it really depends on you and your family. Do you have children and/or animals inside the house or is it just one or two adults? Are people home often? Does a member of the family have allergies or asthma? Does somebody in the house smoke? All of these are factors to take into account when it comes to cleaning your carpets. It is generally recommended you get them professionally cleaned every 6-12 months if you have a large number of residents, animals and/or medical conditions. It can be stretched out to 18 months if there aren’t many people residing there, as obviously there is less chance of dirt and grime building up in the fibres. The recommendations are based on the average household and the amount of dirt, debris and stain that could occur. Even with regular vacuuming, this can build up and affect the amount of “catching” of the airborne particles the carpet can do. If it builds up too much, it affects the look and feel of the carpet. leaving the particles still in the air. 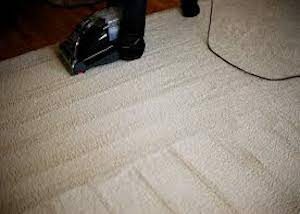 Really Cheap Carpet Cleaning Brisbane have been cleaning carpets for a long time. We love what we do and we do a great job! Why not contact us to see how we can bring your carpets back to life! We are the best carpet cleaning in Brisbane, you should not find out for yourself?